conjunction with the family-friendly drama – currently the No. 1 sports movie on iTunes and available now on DVD and digital HD. 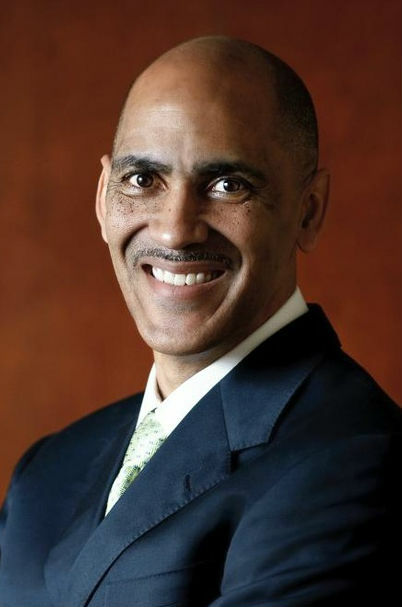 Unlike the Super Bowl where sides will be taken and lines will be drawn, Dungy encourages everyone – families, teams and groups – to come together for their very own 23 Blast Bowl viewing party and discussion regarding the topics addressed in the film. The event offers an entire night of inspiration that is simple to organize and implement in three easy steps. Participants may buy the DVD at the local retailers or online at 23Blast.com, invite a group over to watch the film at their convenience and complete the night by using the free downloadable resources to begin a deeper discussion on the topics addressed in the film. Discussion Guide, 10 Ways For Children to Overcome Obstacles, 10 Ways to Motivate Your Child, 7 Signs of a Humble Athlete, and 6 Ways Your Kids Know You Believe in Them. “23 Blast” features the story of blind football player Travis Freeman (Mark Hapka), a typical teenager growing up in a small town in Kentucky, who is a local hero on and off the field. In 1997, in the prime of his youth, Freeman is unexpectedly stricken with an infection that destroys his optic nerve; he becomes blind overnight. Under the influence of parents who love him, a physical therapist who challenges him, a coach who inspires him, and a best friend who he cannot bear to leave behind, Freeman shows us what true bravery is by competing on the gridiron, helping his Corbin High School team advance to the state playoffs. Depicting a story of hope triumphing over despair, of courage and faith overcoming fear and of victory prevailing over adversity, “23 Blast” is designed to encourage and uplift audiences. Distributed by Ocean Avenue Entertainment, Inc. in association with Toy Gun Films, the DVD features a multi-part “behind-the-scenes” Featurette with Dylan Baker, The Travis Freeman Story, descriptive audio for the visually-impaired, bloopers reel and discussion guide, among others. Having been featured in USA Today, The New York Times, The Los Angeles Times, NBC’s Today and Dateline NBC, Freeman’s story was the winner of Heartland Film Festival’s Audience Choice Award for Narrative Feature. In addition to Hapka, the film stars Stephen Lang (Avatar, Terra Nova), Alexa Vega (Spy Kids, Nashville), Max Adler (Glee), Bram Hoover, Kim Zimmer (Guiding Light, One Life to Live), Becky Ann Baker (Men in Black, Freaks and Geeks, A Simple Plan) Timothy Busfield (Field of Dreams, thirtysomething), Dylan Baker (Anchorman 2, Spiderman 2 &3, The Good Wife), and Fred D. Thompson (Sinister, Law & Order, Die Hard 2). “23 Blast” is written by Bram Hoover and Toni Hoover, directed/produced by Dylan Baker (Spider-Man 2 & 3, 13 Days) and produced by Gary Donatelli and Toni Hoover. Executive producers for the movie include Daniel Snyder (owner of the Washington Redskins), Misook Doolittle and Brent Ryan Green. For the latest news and updates regarding “23 Blast,” visit www.23blast.com.